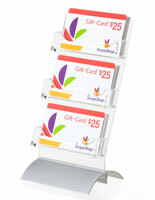 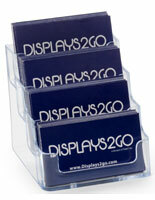 This tiered contact card dispenser holds tons of contact information without using too much desk space. 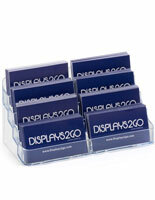 With 8 pockets, this multi-tiered organizer is made of durable acrylic and designed to keep desktops clutter-free. 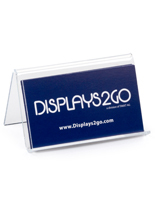 This counter top display is made of molded plastic, and bulk priced to sell. 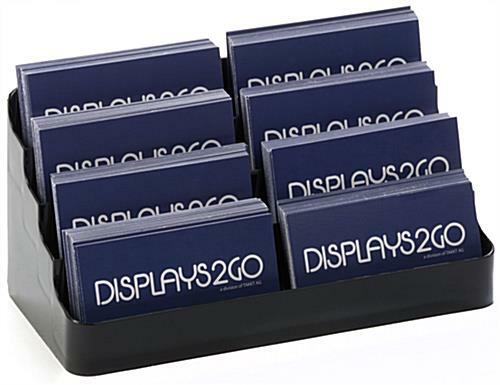 This contact card dispenser for retail and office use dispenses contact info for people to take with them once they leave a venue, so they can stay connected. 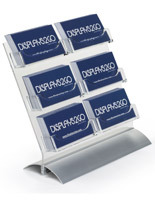 Boost sales instantly with this acrylic storage unit! 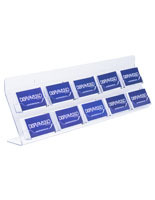 This card dispenser, plastic display that stores 60 notes in each pocket fitting 500 cards in total. 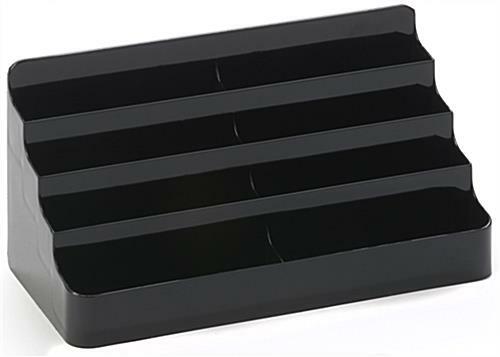 7.8" x 3.8" x 4.8"